OotS: On the Origin of the PCsGiant in the PlaygroundSix brave stick-figure adventurers embark on a semi-epic journey to overcome hardship, villainy, and the rules of their favorite fantasy roleplaying game in The Order of the Stick. Rich Burlew unearths the secret origins of thesefan-favorite adventurers in the first all-new, never-posted-on-the-internet version of OOTS. 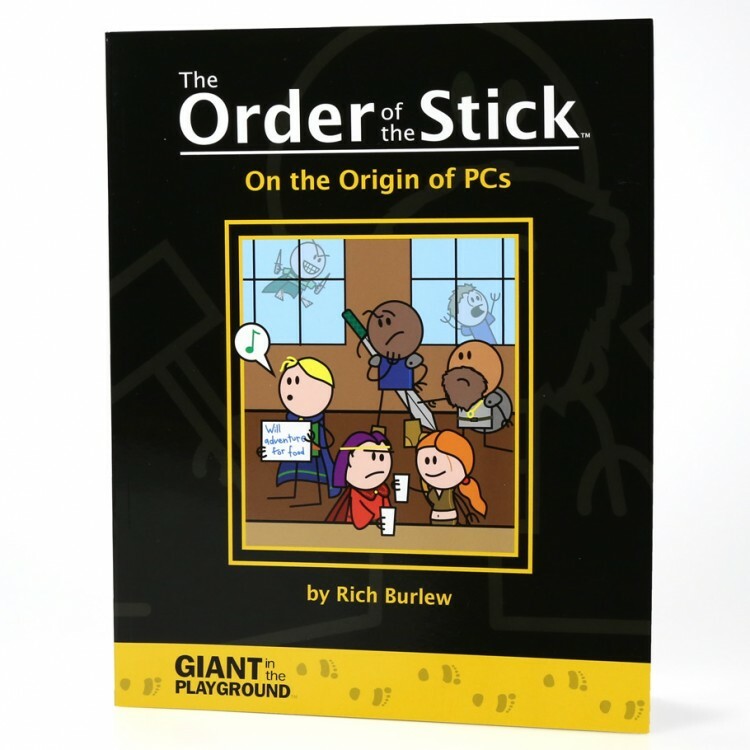 In TheOrder of the Stick: On the Origin of PCs, fans will discover the answers to many of the questions they have been discussing in chat rooms and messageboards across the internet-including the real origin of why they call themselves "The Order of the Stick." Presented in 72 glossy pages of glorious black-and-white art (for that nostalgic "old movie" feel), the book also features a preface by Redcloak the Goblin Cleric. The Order of the Stick: On the Origin of PCs is a must for any fan of the comic series. Well, any fan who doesn't want to be kept up nights worrying about the horrible, horrible truth about their favorite characters. Trust us-your sanity practically DEMANDS you own thisbook!